“Quality work isn’t cheap…cheap work isn’t quality.” - John Scott,President of Jazz Hardwood Floors Inc.
Jazz Hardwood Floors, Inc. is the unsurpassed hardwood flooring contractor in the Buffalo, NY region. Our experts provide hardwood flooring installations, repairs, and refinishing services that will take your old worn floors and make them look new once again. 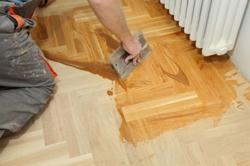 We are locally owned and operated, and are dedicated to making the floors beneath your feet as beautiful as possible. In addition to our installations, repairs, and refinishing, our expert craftsmen can make any kind of flooring design that you desire. Our specialists have the skill to design and manufacture medallion inlays as well as custom borders. 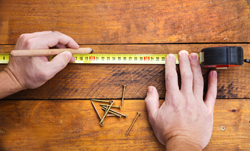 Our staff takes pride in craftsmanship and our ability to get the job done right the first time. For more than 15 years, our Jazz Hardwood Floors team has provided Western New Yorkers with unparalleled flooring expertise. Our staff members have extensive knowledge and experience, delivering dependable, high-quality service that can’t be beat. 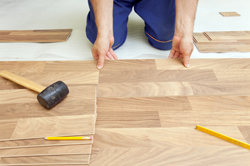 As a member of the National Wood Flooring Association, we offer our clients quality service, personalized attention, and dust-free sanding. We leave our competition in the dust, not our customers! We’re a proud Better Business Bureau Accredited Business, maintaining an “A” rating. We proudly use Glitsa American hardwood flooring products. Glitsa specializes in the development of wood floor finishes that bring out the beauty in wood floors and are all made in the USA.